Beside the RS485 interface with Modbus RTU protocol, the EE310 humidity and temperature transmitter and the EE360 moisture in oil transmitter from E+E Elektronik now feature an Ethernet interface with Modbus TCP protocol. The EE310 and EE360 represent the latest generation of industrial transmitters from the Austrian sensor specialist E+E Elektronik. A multi-functional 3.5" TFT colour display provides a comprehensive overview of the measurement task and allows the user to perform all settings directly on the device. An integrated data logger stores up to 20,000 values per measurand. 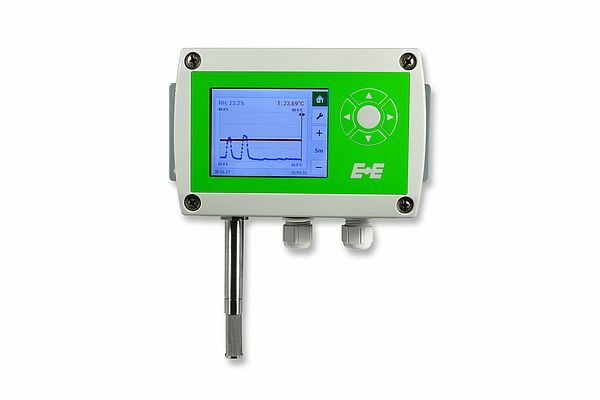 The EE310 measures relative humidity and temperature and calculates dew point temperature, frost point temperature, wet-bulb temperature, water vapour partial pressure, mixing ratio, absolute humidity and specific enthalpy. The transmitter is available for wall or duct mount, as well as with remote probes. The probes can be employed up to 180 °C (356 °F) and 20 bars (290 psi). Pluggable probe versions allow for quick and easy replacement. 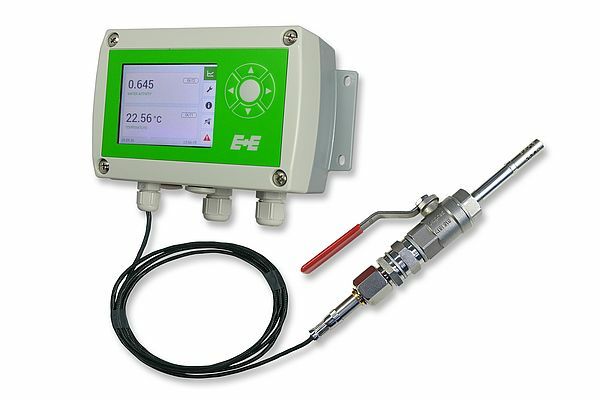 The EE360 is dedicated for monitoring the moisture content in hydraulic, lubrication and insulation oils as well as diesel fuel. The device measures water activity (aw) and temperature (T) and calculates the absolute water content (x) in ppm. The stainless-steel probe can be installed into the process with an ISO or NPT slide fitting, which facilitates the accurate control of the immersion depth. Using the optional ball valve, the probe can be mounted or removed even without process interruption.